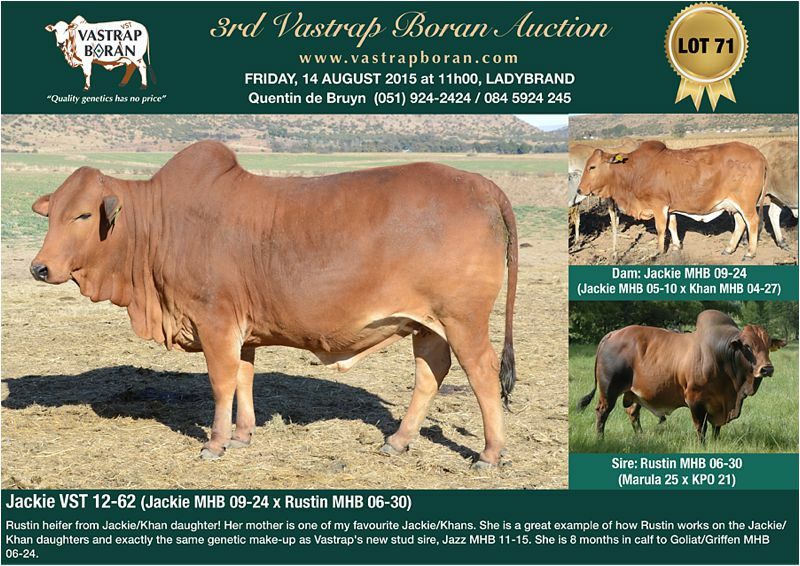 In addition to selling every single 2008 pregnant cow at the 2015 Vastrap Auction, a selection of top heifers will also be on offer showcasing the progeny of various sires and combinations. 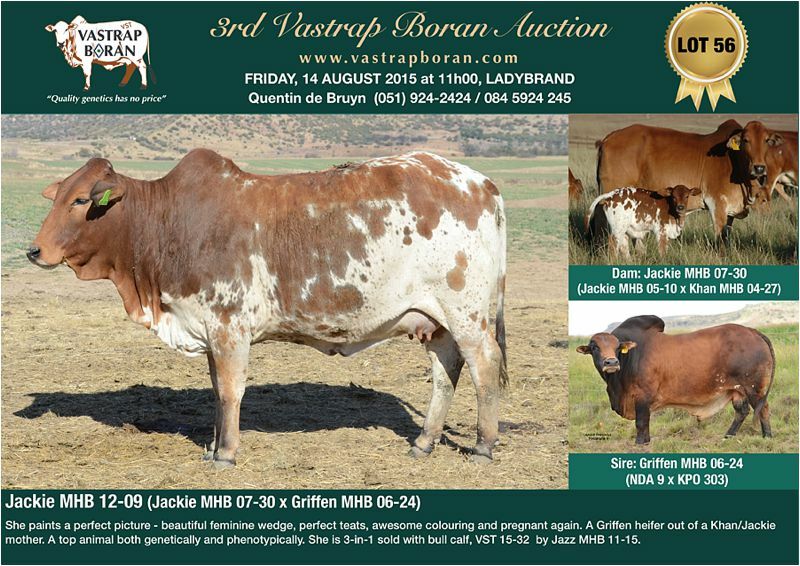 These heifers have been selected to showcase what future generations of Vastrap Boran have to offer. 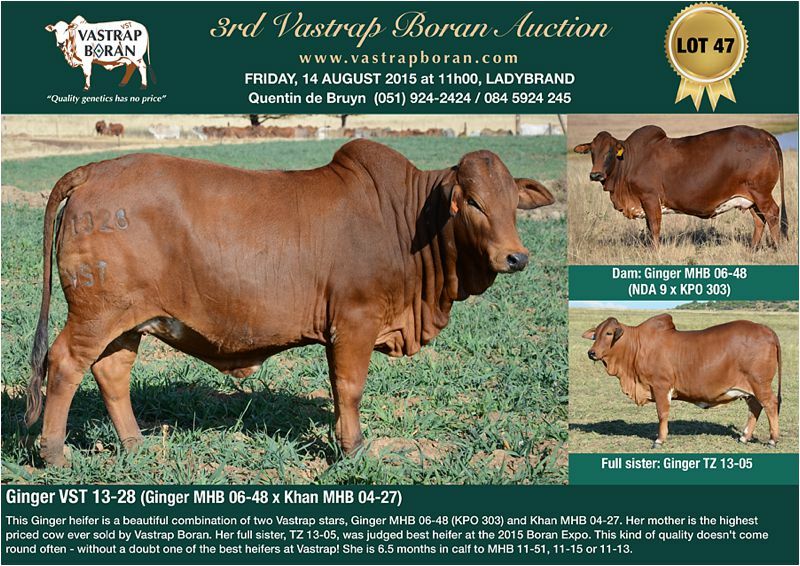 There are some absolute stunners, which come with Quentin’s full endorsement! 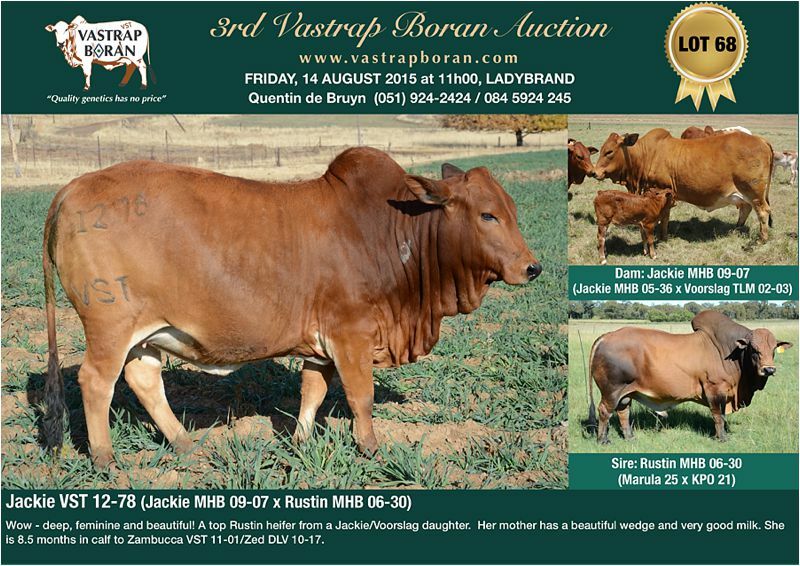 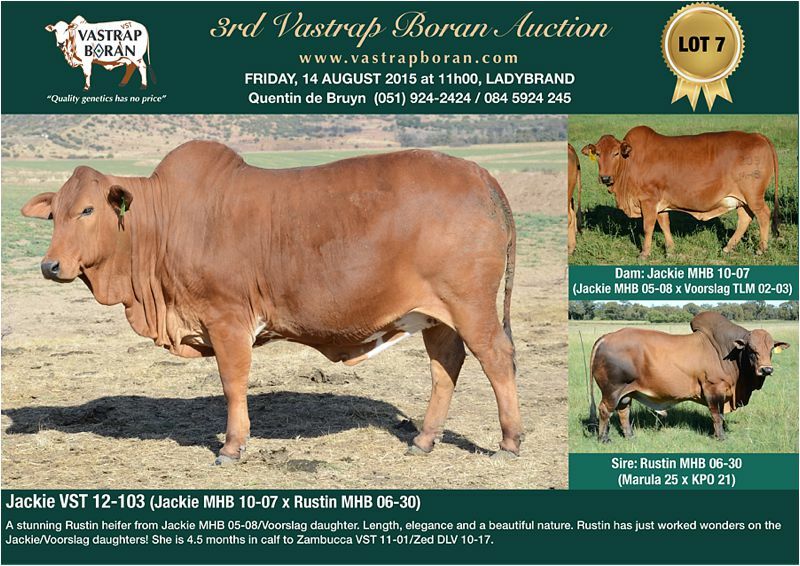 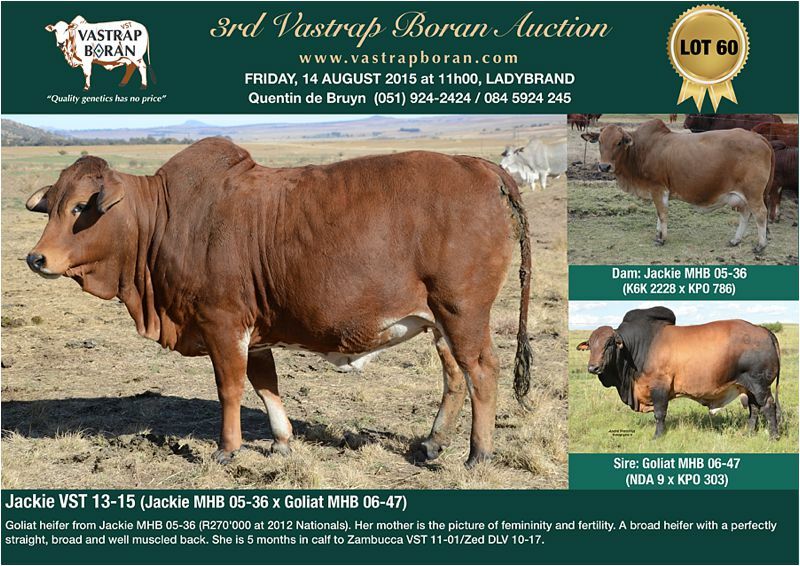 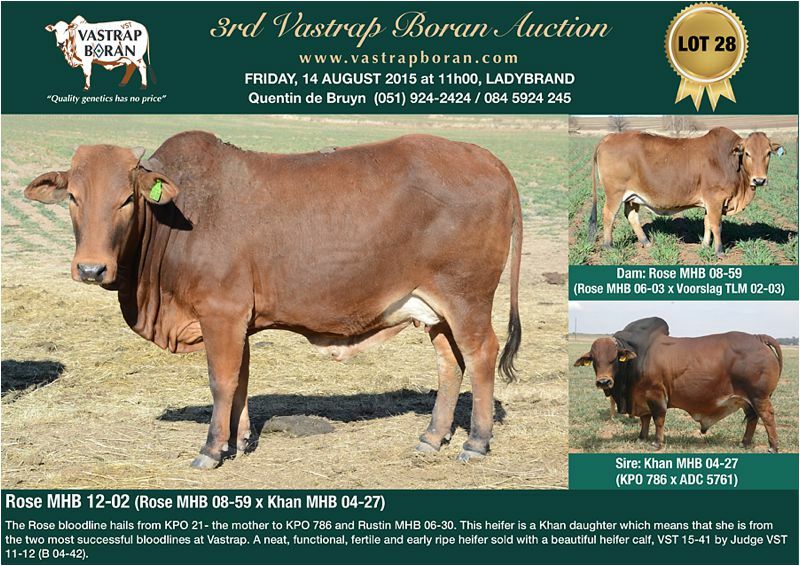 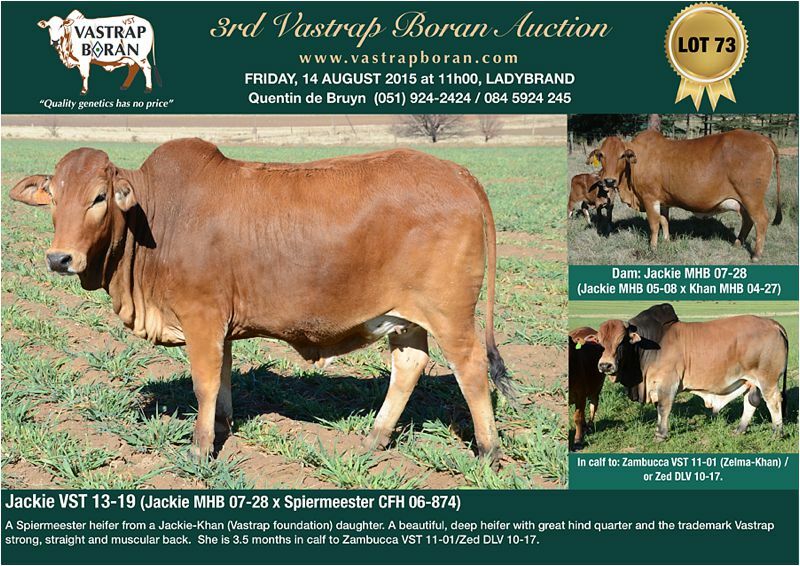 Click on the link to download the full auction catalogue – 2015 Vastrap Auction Catalogue. 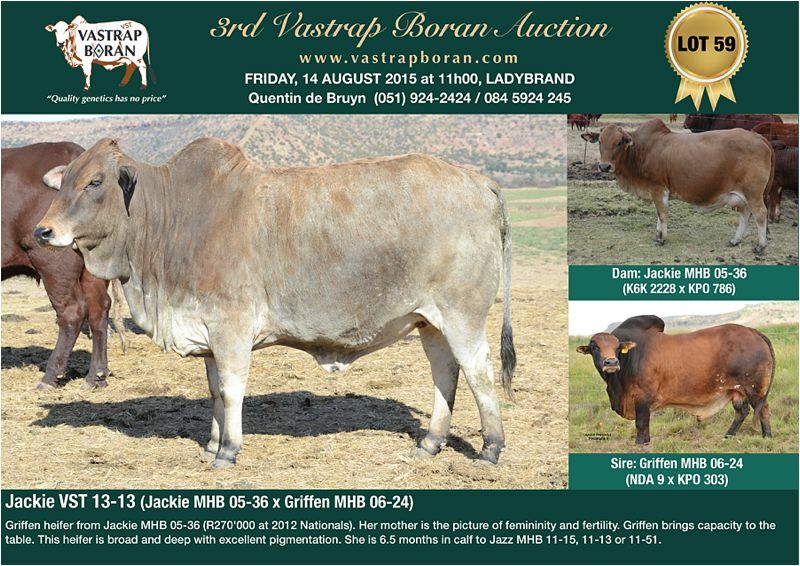 Please click HERE for information about the special transport and quarantine arrangements we have made.